Looking for a heavy duty Ford F-250 truck in the Edmond, Guthrie or Oklahoma City areas? Vance Country Ford in Guthrie, Oklahoma knows trucks. We specialize in getting you fit with the perfect truck for your particular needs whether it is for work or play. 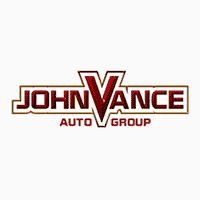 Vance Auto Group has been dedicated to serving Oklahomans for more than 30 years. We keep our customers satisfied so we can continue serving for at least another thirty years. We treat you like our small town neighbors but we have a big city inventory. It is well worth the 10 minute drive north of Edmond and 30 minute drive north of downtown Oklahoma City to see how we keep doing it. The Ford 250 Super Duty Truck will become your most valuable worker since it hauls more and tows more. It can handle whatever work you need to get done. It will be an integral part of your work crew for big reasons. It is the best-in-class payload and conventional tow ratings, as well as a gross combination that is also best-in-class. For the really big loads, check out the maximum 5th Wheel or best-in-class gooseneck tow rating. The Ford @50 Super Duty offers the exclusive Trailer Reverse Guidance that makes the difficult job of maneuvering big trailers a thing of the past. Today’s Ford Super Duty® is the toughest heavy-duty pickup we’ve ever built. It is lighter weight yet incredibly stronger using military-grade aluminum alloy, making stronger axles, beefier steering and chassis parts with a fully boxed frame engineered from 95% high-strength steel. Super Duty® comes with standard AdvanceTrac® with Roll Stability Control™ (RSC® ) and Trailer Sway Control on both single- and dual-rear-wheel models. Both systems use gyroscopic sensors to maintain best control ever. Not only is the Ford 250 Super Duty built Ford Strong, it is comfortable and keeps you connected with all the latest technology inside the cab including up to seven cameras. Come see the new or used Ford 25 Super Duty Truck for yourself at Vance Country Ford in Guthrie, OK where we know trucks and how to get you into the perfect fit for your particular needs.